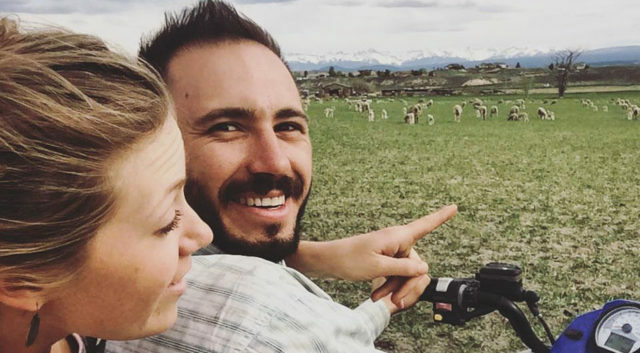 National Young Farmers Coalition | Meet Harrison: "There was nothing to do but irrigate and start dating." Meet Harrison: "There was nothing to do but irrigate and start dating." Three years ago I made my first fruit sale from my family’s orchard in Colorado. It was my first year managing a fruit crop after years of farming vegetables for a CSA in North Carolina. That first year, friends, family, and community members assembled from across the state to pick and store ton after ton of plums and cherries. The crop was bound for a fermentation start-up business in Boulder, CO called Ozuke. It was an unbelievable success for me as a first-year orchardist. And to make things even sweeter, our fermented plums went on to win an Alice Waters Good Food Award. 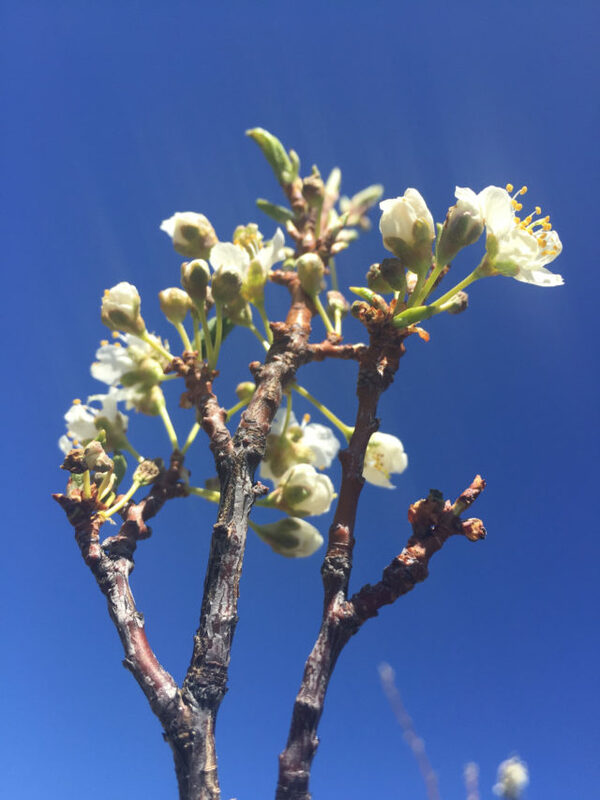 The next year I ambitiously leaned into preparations for the season, having learned more than a few lessons about perennial fruit farming, labor, water, and wholesale marketing. I was busy finalizing my organic certification, honing my irrigation system, planting understory crops, lining up reliable workers, and expanding my markets. But, on April 13th, with the trees in full bloom, I lost my entire crop to a spring freeze. I was constantly reminded of the loss every time I switched the gates of our irrigation pipe or walked from tree to tree looking for pests. There was nothing left to do but irrigate and start dating. I found myself taking every chance I could to leave our little town of 1,300 people and travel across the mountains to Denver, Fort Collins, or Boulder, a four-hour journey. The urban landscape was a good distraction. And better yet, I could use Tinder and Okay Cupid. I coined the term “farmer-sexual” and was beginning to suspect that I was the only one who fit that orientation. But boy-howdy, thank you Tinder, because after about six months of swiping right, I met the rancher of my dreams, Stacia Cannon. Now we’re back on the western slope together. This season we’ve managed to entwine ourselves in some new and very unique situations. First off, the orchard. After losing my crop last year, I’m in a darn tough situation—make or break. I need a mentor, I need some risk management, and I need some more diverse products and premium markets. I work for Rocky Mountain Farmers Union as an agricultural community organizer, which helps provide me with a stable income, but having an off-farm job also prevents me from having the agility to adjust my plans when the unforeseen happens on the farm. This is where Frank Stonaker from Osito Orchard comes in. Frank also had a tough year last year and is asking a lot of the same questions that I am, but luckily Frank is a genuinely fantastic and experienced organic producer. What Frank needed was help getting his crop to market. My work with Farmers Union keeps me in the know about a lot of emerging markets and opportunities, like the Boulder County Farmers Market (BCFM), one of the best markets in the country, which is expanding to do a market in downtown Denver. Based on historic sales averages that BCFM tracks, their new market in Denver will be a surefire success. So we worked out a deal—Frank will lease my farm, mentor me, and assist with labor and equipment. In return, I’ll coordinate getting our product to the new, totally off-the-hook #UnionStationFarmersMarket. Things are looking good: My irrigation water has been flowing for four weeks, the state-wide snow pack (i.e. 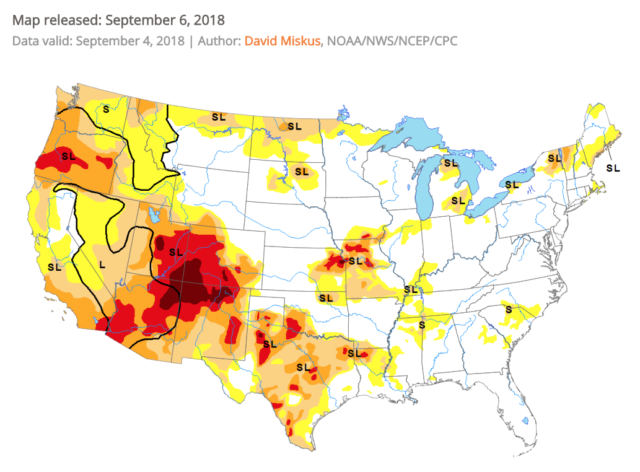 our water supply) is above average, the cherries are about the size of marbles, and I’m cranking to figure out the logistics of getting to Denver and how we’re really going to build a niche in this new customer base on the other side of the state, where Colorado’s biggest population centers are. And that’s just the orchard. My partner Stacia is an animal person. For example, one evening she brought home an orphaned lamb with a bum leg. She spent the night researching and devising a plan, then built a splint for the lamb’s leg so it would stay in place—three weeks later Gump (the bum-legged bum) is back hanging with the heard. 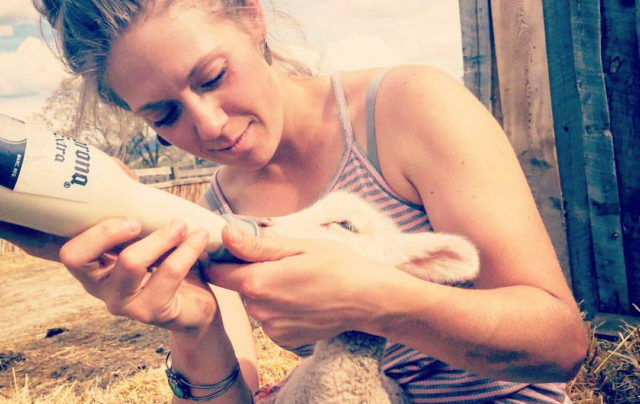 When she agreed to move to western Colorado with me, I was nervous I’d be another ill-fated farmer who convinced his partner to move to a rural community without social or economic opportunities. And besides, Stacia is a rancher, not a fruit farmer. So rather than settle down in Paonia, we moved onto a sheep ranch in a slightly larger town about an hour away from the orchard. She now works as a ranch hand for John and Linda Field and also holds down a job at a local veterinary clinic. The combination of the two provides for a comprehensive education in heard health and ranch-smarts. But ho! It turns out fourth generation ranchers don’t necessarily have it any easier than beginning farmers. Even with their historic ranch, senior water rights, and grazing permits, the reality of the agricultural economy and the weakening commodity markets are enough to seriously impact John and Linda’s business. So we’ve begun machinating to create a direct-to-consumer business with the lamb. If everything goes according to plan, the situations on the ranch and the orchard should allow Stacia and I to create long term plans for how to stay in agriculture. Without a doubt it’s precarious, but hey, that’s farming. Support for this series was generously provided by the Walton Family Foundation.